Do you Love What you do??? I just wanted to share a cute card using our GREAT Circle Card Thinlits. This is such an easy die to use and the creativity is endless when it comes to either of the cute Card Thinlits. 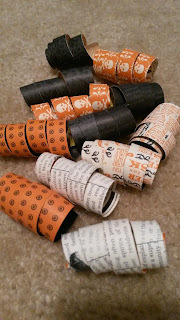 Just another of many reasons why I Love Stampin' Up! and Love what I do. Stampin' Up! truly out does themselves and never ceases to amaze me. If you can't say you LOVE what you do, maybe it is time to think about working for yourself. There is no better time to sign up with our $25 special still available until Monday October 21st. If you are interested in becoming a part of my team feel free to contact me at beachsidestampers@yahoo.com. Also if you click this link you will get to see first hand how the Card Thinlits work. Enjoy!! I hope you have a great day and just remember to LOVE what you do! If you haven't tried the new Photopolymer Stamps yet this is a great one to grab to do just that. This NEW Endless Wishes stamp set is awesome!! This stamp set can create beautiful cards, gift card holders, and make your gift wrapping just a little bit nicer. 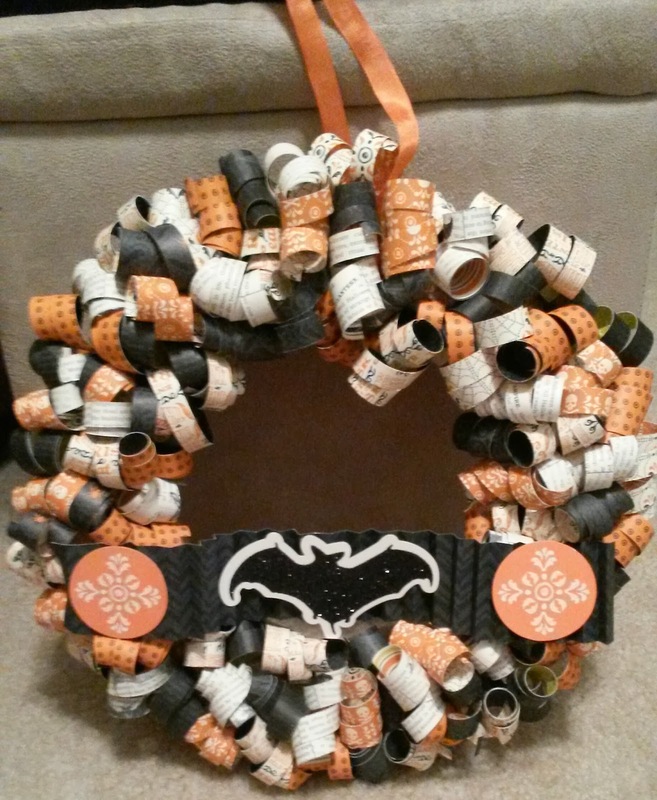 If you are interested in purchasing just Click to Order! 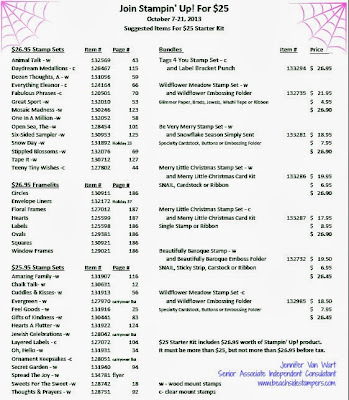 Happy Shopping and contact me if you should need anything or have any questions!! 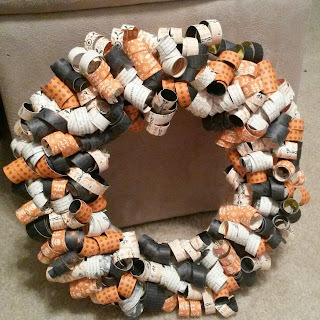 The following is a tutorial to help you create these great paper wreaths that have become so popular. Next you are going to cut all 6 sheets into 1/2' strips. 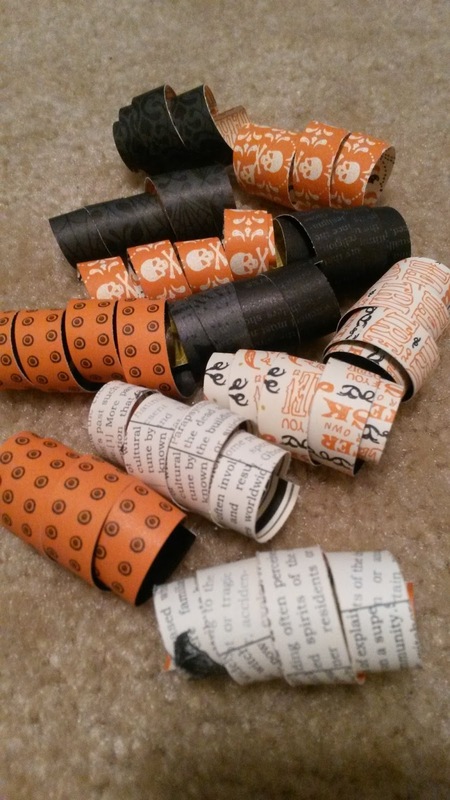 Once you have them all cut you are going to use your bone folder to curl your paper like you were curling ribbon. Suggestion: Curl only a hand full of strips at a time so if you have more then needed you will not have curled paper that you have to work with but 1/2' strips that can used for borders for scrapbook pages or cards. You want to remember to continue to add curls until you get the desired fullness you are looking for. 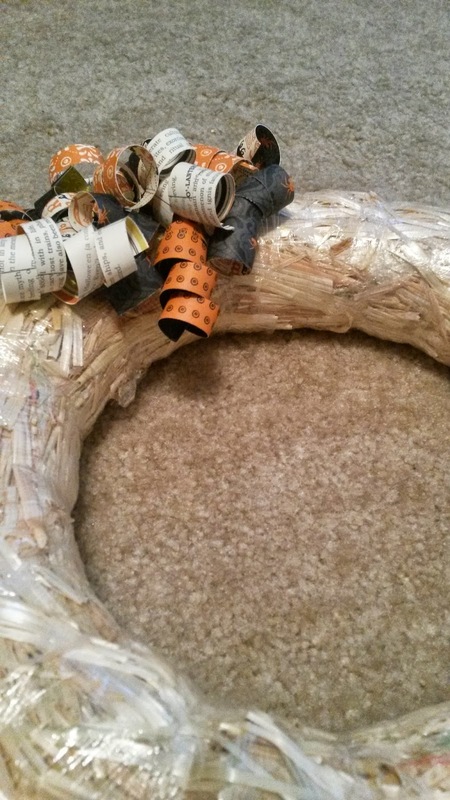 Once you have completed this step you are ready to create your banner for the front. TADA!! 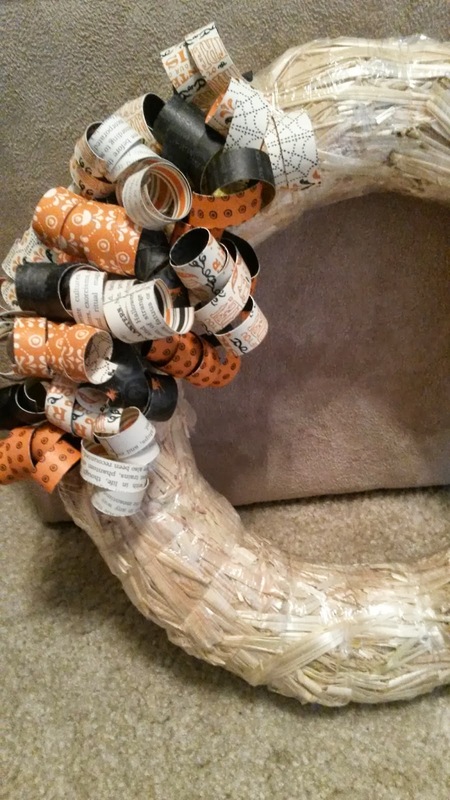 You now have a cute wreath to share in your home or give to someone as a gift. I hope you enjoyed this tutorial. 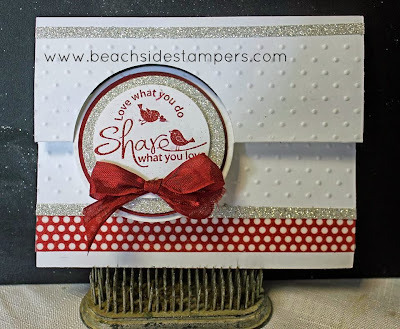 Even though this has been offered as a FREE tutorial, please remember all photos and instructions are copyrighted to Beachside Stampers and should not be re-posted without approval. Thanks for you cooperation and thanks for your business. 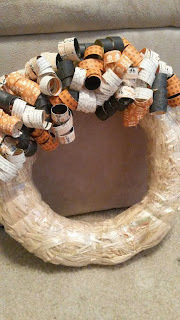 Keep a look out for my Snowflake wreath which will be posting very soon! Have a great day! 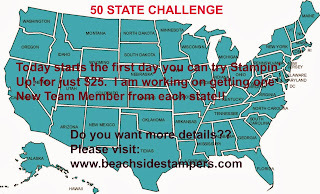 I am looking for at least one person from each state to give Stampin’UP! a try for just $25. I have a special gift for the first from each state. $25 -Yes its true. You can give SU a try with no obligation for just $25. Based on questions received since I first announced it in my customer mailing I have put together these details. I would be honored to sponsor you and help you explore the possibilities, discounts, opportunities that just $25 can open up! IF JOINING STAMPIN’ UP! is not for you but you know someone who would love this $25 Special, please forward this information to them. I have awesome referral thank you gifts!! WHAT IS THE FINE PRINT?? WHO CAN JOIN DURING THE SPECIAL? Anyone over 18 or older with a US social security number. Are you a previous demonstrator?? a. If you have been inactive for 90 days or more you are eligible to rejoin immediately under anyone you choose. b. If you have been inactive less than 90 days and the person you originally joined Stampin’ UP! is no longer a demonstrator you are eligible to rejoin immediately under anyone you choose. WHY WOULD I WANT TO JOIN FOR JUST $25 and really no Product? While there is not much in the kit – many customers and previous demonstrators already have many supplies AND all new recruits are given a one time 30% savings on an order. So instead of spending $99 on a full kit where the $99 doesn’t go towards quarterly minimum – you spend just $25. Then you can hold an open house where you can share SU with family and friends and earn 30% or place a personal order where you save 30%. Either way all orders count towards your quarterly minimum which is an amazing deal. FREE STAMP (s) - As soon as you join, your friends can join with you as their upline. You receive a FREE stamp set of any value for each friend who joins!! Build a team and a great stamp collection with our $25 Promotion. No experience to ask someone to join. No have-to’s as a sponsor. Plus I am here to help! THE BEST PART - Your First Official quarter will be January-March. 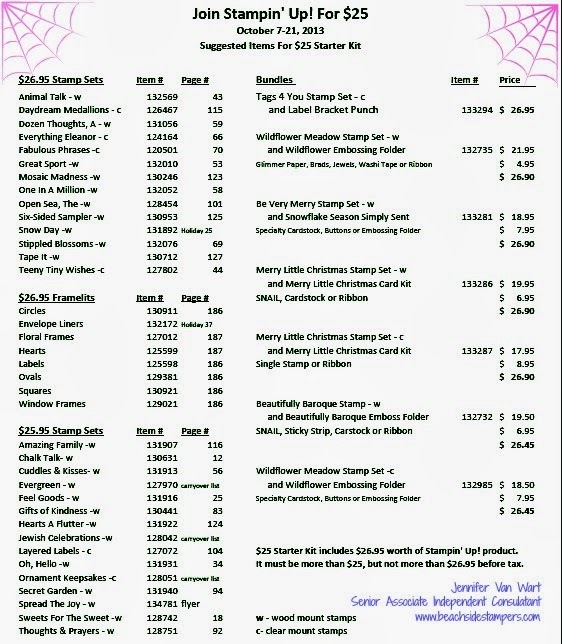 AND any sales in October – December will count towards that first quarter!!! WOOHOO!!! 1. I am a no pressure person. I welcome everyone to my team and encourage you to enjoy the benefits of being a demonstrator that fit your lifestyle and needs. I am here to offer any help and encouragement needed. 2. You receive a One time 30% Discount in your first 45 days. 3. Our next exclusive Demonstrator sneak peak pre-purchase happens in December, you will get to participate in this pre-purchase exclusively only to Demonstrators. 4. Stampin’ Connection -demonstrator only online community - This is a fantastic way to connect with other demonstrators as well as gain inspiration from sharing with this online community. 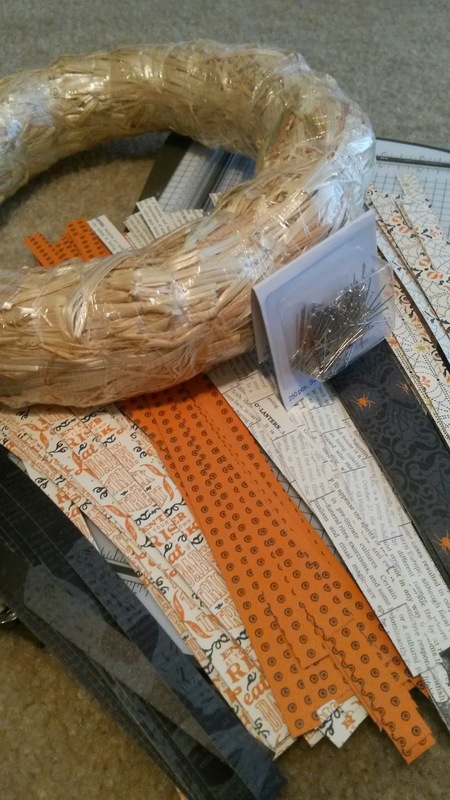 From projects and cards to sharing tips this is a great resource exclusive to demonstrators. 5. Beachside Stampers – You will become a member of the Beachy team that loves Sun, Sand, Waves and Friendship! By selecting me as your upline you join a team geared on fun and sharing as well as creativity and encouragement. SO WHAT DO YOU OFFER AS MY UPLINE/SPONSOR?? I will be a stable source of support and inspiration based on your willingness to connect, ask for help, and ask questions. All you have to do is let me know your needs. I welcome everyone to my team. It is your choice whether you want to enjoy the demonstrator benefits of just the discount or more. My #1 goal is having you happy, my 2nd goal is to help you in ways that best meet your needs. I do not have a formal training system because there are so many ways and reasons to be a demonstrator that I simply work with you personally based on your needs. 2. Weekly Team Newsletter with a FREE project every week. 3. 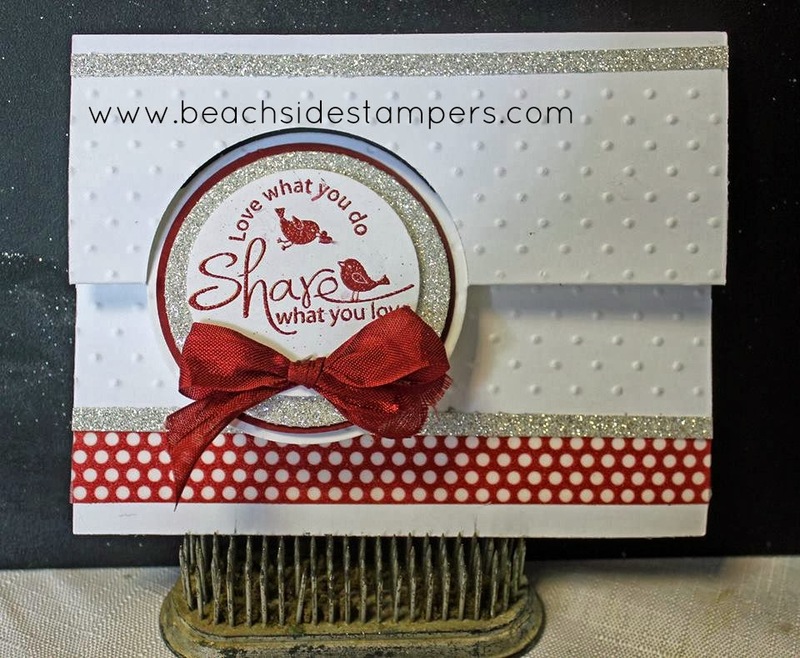 Beachside Stampers Starter Packet – this includes samples, a special gift exclusively from me, and a handbook of tips and tricks that will get you started. 5. I am available by phone, text, FB private message, Skype, and email!! There really is no better time to join and you have nothing to lose!